Tis September – schedules, routines, sports, clubs, church, whatever is going on IT is going on now, right? Today your Healthy Girl post is diving into easy food that is good for your body and can be ready in a jiffy. Snacking can be easy on busy days but don’t let snacks take over the healthy meal option! And do not allow the drive thru to become your best friend. It always is from the crock pot, isn’t it? Ha! Well our number one go to is totally from the crock pot. Salsa chicken with just three ingredients: Boneless skinless chicken breast or thighs, salsa verde, and Mexican blend cheese. Put the chicken and the salsa in your lightly sprayed crock pot – cook on low all day. When you get home toss the cheese in the crock pot and let it cook about ten minutes longer. Here’s a recipe from another blogger who adds a little extra to her crock pot salsa chicken. If you want a carb you can serve it on a tortilla or with rice and beans. If you aren’t looking to carb out at dinner then just enjoy it in a bowl with a side salad. Or pull an Amanda and make it part of your salad! I also like to note that if you fix a large batch you can turn your leftovers into enchiladas for night two. If you made a really large amount then opt for a day three of Mexican salads! Guys, this is actually numbers two and three. One word: Barbacoa. Why do I love this so much? Well we can eat it straight out of the pot, on a tortilla, or on a bun (or in a pita…) Like the above recipe you can eat this several different ways through the week if you make a large batch! Be creative! It takes so good in a salad with blue cheese! All you need is chuck roast, garlic, paprika, chili powder, cumin, onion, lime juice, a bay leaf, and a little chicken broth. I also love this recipe from Crème De La Crumb! Toss it in the crock pot on low for all.day.long. Shred it when you get home (with two forks) and eat. Cook it on low all day long. Dig in when you get home! The #4 is from the store! This is my cheat. I will stock up on Progresso Soups. I’m not even kidding you and I’m proud of this. My kids love soup. My husband loves soup. And I love soup. I like Progresso the best of all! Make sure you buy low sodium on your canned soups and vegetables. I try to opt for the organic versions of these too to make sure I’m not getting laden down with additives and preservatives. I used to buy Harris Teeter soups from the deli but after a mishap of getting a violet stomach issue after consuming it a couple years ago I stay away. 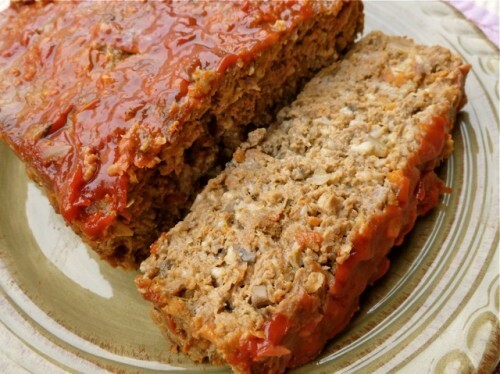 Meatloaf, ma! I infuse mine with vegetables so that it’s extra juicy! My whole family loves some meat loaf. Serve it up with some mashed cauliflower, roasted cauliflower, green beans, greens, or a side salad. So this post was heavy on meat because my household is a carnivorous house! We love beef and chicken. You can always substitute out meat for tofu if you prefer – or mushrooms! With each main course I try to steer clear of too many heavy carbohydrate sides. Too funny just stocked the boys cabinets at IU with 10 cans of Progresso, my fam loves soup too especially the college boys and I made salsa chicken yesterday for taco salads tonight. 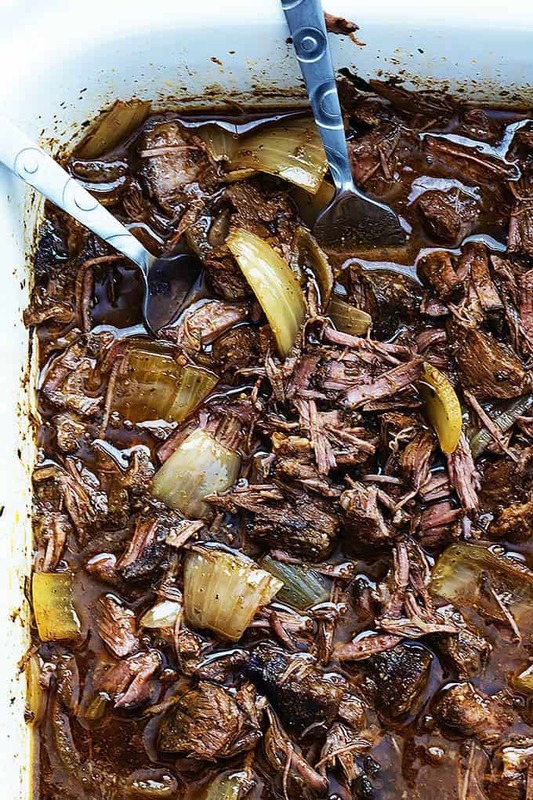 I MUST try that Barbacoa, right up my chuck roast loving alley! I feel you, we get busy with practices this time of year too and I don’t feed my family dinner before we go. I am adding that crockpot chicken recipe to my meal plan for next week….hello Taco Tuesday! This time of year is so busy and the crock pot is the best! I love meat too and these are some great ones for so many leftover ideas. You know I love me a chicken taco salad too! Taco salad for days, sister!